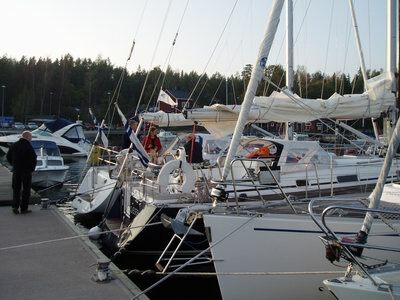 During weekend September 23-24th 2006 Maestro Boats organized a Maestro 40 meeting at Porkkala, Finland. 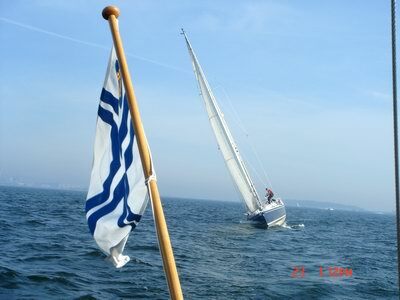 During Saturday we had a race from Helsinki to Porkkala. 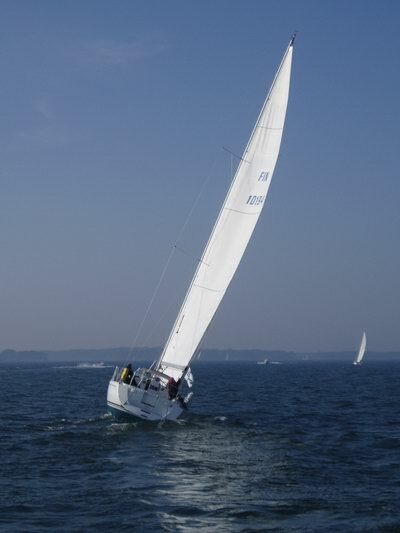 Track length was 21,8 nm and 93% was upwind. It was good time to test different M40's against each other. 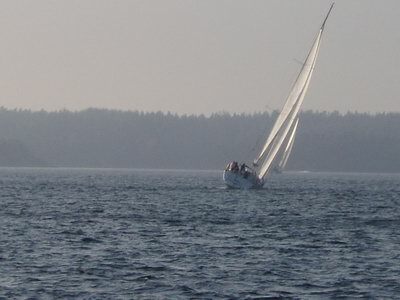 Justiina (M40-005) took best start and headed to lead immediately. Onboard Justiina had three persons crew. Notice high aspect ratio in Maestro 40's sail area. At start wind was app. 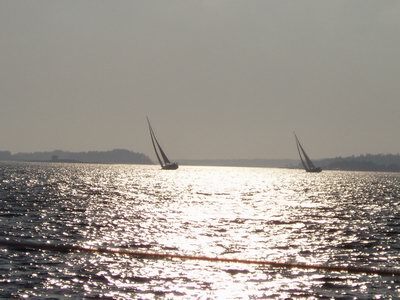 7 m/s, during race it varied between 6-11 m/s. 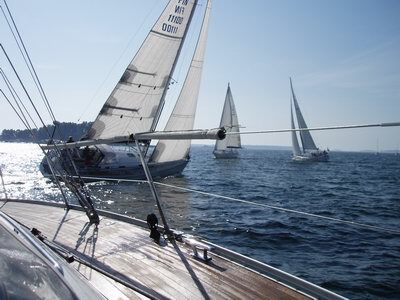 From start took Quick Step (M40-001) second place with only two persons crew onboard. 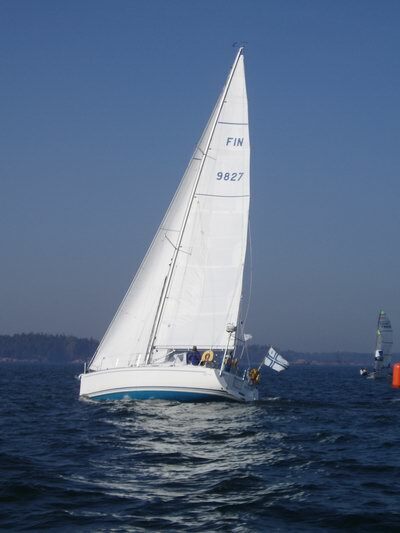 From the beginning it was obvious that three seasons sailing with M40 had given them best boat knowledge. Photographer was in Quesera (M40-004) which took third place from start and fourth place was left for Sirius (M40-003 in picture). Sirius had three persons crew plus two kids onboard. Onboard Quesera we had two persons sailing crew plus a friend and one kid. 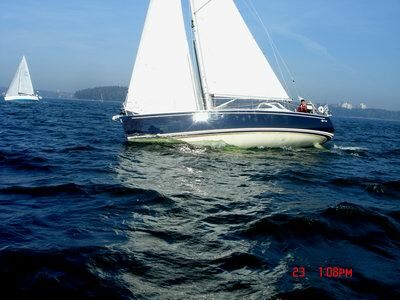 Sailing was fun and partly cloudy weather was perfect for race. 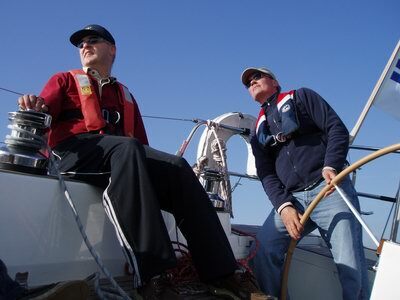 Quite soon it was obvious that long sailing experience with dinghies started to make result. 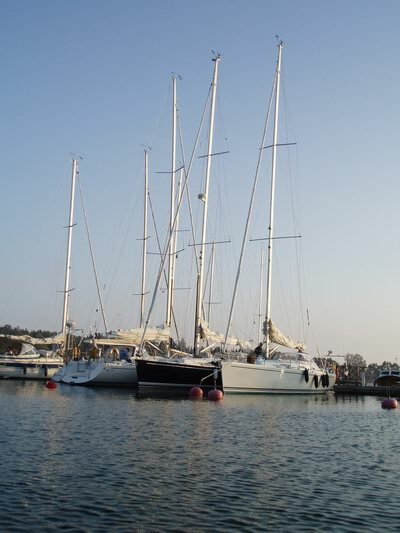 The owner couple of Sirius both has long race history with dinghies. In picture Sirius has passed Quesera. Here Quesera seen from front view. 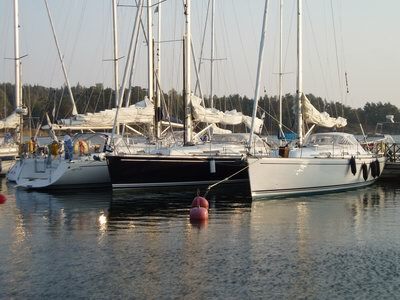 Here seen two Maestro 40's close hauled. This picture is taken just at the moment that Sirius crosses finish line. In picture is seen Quick Step that came second place and outside picture (very near) is also Justiina took third place. Last boat Quesera crossed finish line less than five minutes after winner. 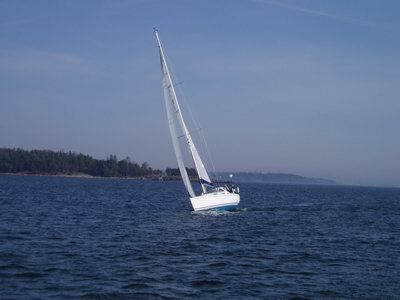 After nearly five hours sailing and difference between boats so small gives an idea how fast the basic boat is.